For our 2019 Co-ed 3 on 3 program (ages 6 to 14), our goal is to provide an introductory to the 3 on 3 basketball game. 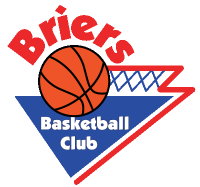 • Each weekly session is divided between free-play, instructional sessions (skills and drills), and games, with the last weekly session being a playoff format. • The program is mainly focused on skill development and games at a level commensurate with each age division. • Game participation is on an equal time basis. Team selection/composition is based on each player's ability.